Busy bumble bee embellishments and toppers for card making, scrap-booking and all crafts. Earn 1 points, worth £0.05, when you buy this. Gem and glitter bumble bee embellishments and toppers for cardmaking, scrapbooking and all crafts. Create a beautiful craft project for a birthday or a special friend. The pack contains 10 toppers. The toppers are three dimensional with glitter and gems. 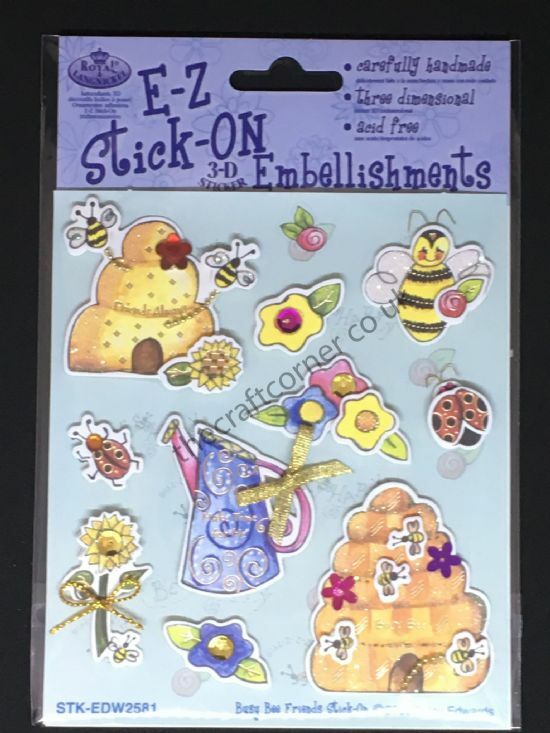 Own Busy Bee Friends Glitter and Gem E-Z Stick-On Embellishments? Why not be the first to leave a review.